One more thing before I drift away for awhile: A common sign in antiques stores reading IF YOU BREAK IT, YOU OWN IT. No more book recommendations, politics, or amusing dog pictures for the immediate future. I'm shutting down. Stephen King ‏@StephenKing 8. nov. The ugliest election in living memory is almost over, but the polls are still open. VOTE, PEOPLE. Do your job. Stephen King ‏@StephenKing 7. nov.
What everyone's saying: Trumpie loved the FBI while they were saying what he wanted to hear. Now, not so much. 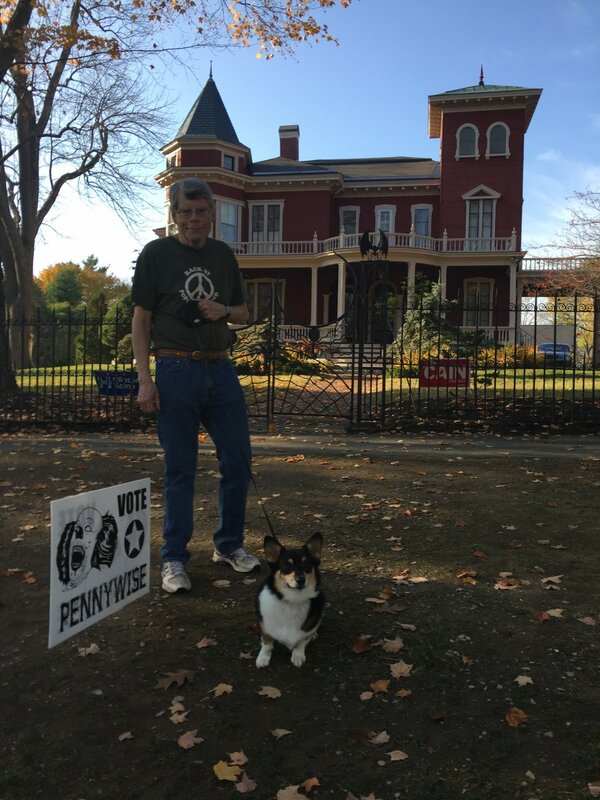 Stephen King ‏@StephenKing 6. nov.
Don't vote for Trump if he won't release his taxes. FBI has cleared Clinton in the latest email go-round. Tempest in a teapot. Pro-Trump FBIers maybe trying to influence the vote. Rev. Naomi King ‏@revnaomi 6. nov. Welcome back to standard time, and just what this ugly election cycle needed: an extra hour. Stephen King ‏@StephenKing 3. nov.
Congrats to the Cubs, and thanks to Cleveland for giving us all a 7th game for the ages. Stephen King ‏@StephenKing 2. nov.
Molly, aka the Thing of Evil, after believing Donald Trump was the CANDIDATE of evil, switches her allegiance to someone even worse. Stephen King ‏@StephenKing 1. nov.
Trump: Sexist oinker, tax dodger, draft dodger, pal of Putin, racist, serial liar, ANNNND...Republican candidate for president!